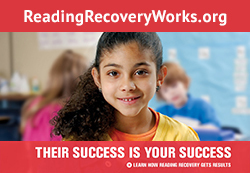 Reading Recovery is implemented by education districts and consortia that are affiliated with university Reading Recovery centers in the United States and with the Canadian Institute of Reading Recovery in Canada. Typically one or more school systems decide to implement Reading Recovery and employ a teacher leader (or leaders) to train teachers for Reading Recovery. (A Descubriendo la Lectura site must employ a Descubriendo la Lectura-trained teacher leader). In cases where a school district is too small to establish a teacher training site, administrators can contact a regional university training center or nearby teacher training sites about the possibility of affiliation. Establishing a teacher training site requires a strong, long-term commitment from the sponsoring district or consortium. All stakeholders need information about the purposes, rationales, and processes involved in Reading Recovery. Key understandings include the need to serve the lowest-achieving children first, to be economical with time in selecting and teaching children, and to work towards full implementation—which means allocating sufficient staffing and teaching time to serve the most at-risk children in the first-grade cohort. Send a representative team on a fact-finding visit to a university training center where Reading Recovery teacher leaders are trained. If possible, visit established sites in your local area. Build understanding and support for Reading Recovery implementation at all levels within your district. Select one or more experienced and highly qualified (master’s degree required) individuals to participate in the teacher leader training program for one academic year. After the training year, this person will train Reading Recovery teachers for your site. In some areas, it is possible to employ an active, trained Reading Recovery teacher leader. Establish an area with a one-way glass for teaching sessions and adequate space for follow-up class discussions (behind-the-glass sessions). Plan for the teacher leader to train 8 to 12 Reading Recovery teachers a year. Determine a procedure to select highly qualified and successful teachers for training and support the teacher leader to establish a training class. Arrange for weekly training sessions for the teachers in training across an academic year. Work with your affiliated university training center to determine possibilities for graduate credit for teachers in training. All Reading Recovery-trained teachers received graduate-level training, sometimes through their affiliated university training center and sometimes through a local college. Make necessary staff arrangements to enable Reading Recovery teachers to teach four students in daily 30-minute lessons. Active Reading Recovery teachers fulfill other job responsibilities for the remainder of the day (e.g., Title I or small-group teacher, kindergarten teacher, shared classroom teacher, special education teacher, English as a second language (ESL) teacher, staff developer/literacy coach). Make the necessary staff arrangements to enable the teacher leader to teach children, support teachers, and manage the Reading Recovery implementation at the district or site level. Purchase books and supplies; the start-up cost for nonconsumable materials is approximately $2,500 per Reading Recovery teacher. Comply with the U.S. or Canadian standards and guidelines for training, data collection, and implementation. These standards protect your investment and must be followed tomaintain active Reading Recovery status. A dedicated website features brochures, fact sheets, case studies, administrator and lesson videos, and other important information that decision-makers need.